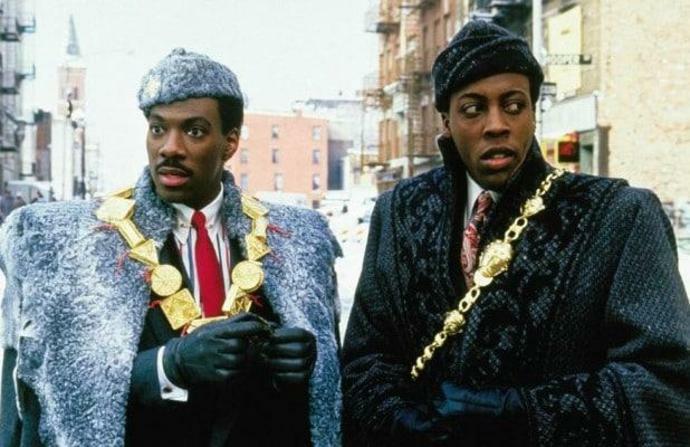 Eddie Murphy's untitled "Coming to America" sequel will hit theaters on August 7, 2020, Paramount Pictures announced Monday. Craig Brewer will direct the "Coming to America" sequel, while "Black-ish" creator Kenya Barris will rewrite the script. A sequel to the 1988 film starring Eddie Murphy has long been discussed, but Paramount made it official last year when the studio hired Barry Blaustein and David Sheffield, who wrote the screenplay for the original film, to write the sequel. Jonathan Levine was previously attached to direct. Murphy is expected to return for the follow-up, although no formal deal is in place yet. Kevin Misher will produce alongside Murphy, while Barris will executive produce. The original film was directed by John Landis and follows Prince Akeem (Murphy), who travels from Africa to Queens to escape an arranged marriage and find a wife who would love him, in spite of his royal title. Arsenio Hall, James Earl Jones, Shari Headley and John Amos also starred, with Hall playing his loyal right hand. So far, August 7, 2020 is home to a still untitled WB Event film. No other project has been announced for that date yet. Murphy will next star in "Dolemite Is My Name" which is currently in post-production. He is also in pre-production for "Triplets."